We all know this line from Star Trek, but is all space travel (science) fiction or are we really up there and did we go to the moon. If you go through everything that can be found on the moon landing and space travel, a lot more can be found that supports this fact, than there is to deny it. Rockets are send into the sky at a very regular basis, not just by NASA, but also by other agencies from the Soviet Union, China, Japan, Europe, India, Korea. In fact the first country to attain space travel was the Soviet Union in 1957 with Sputnik 1. They were also the first to launch a human (Yuri Gagarin in 1961) into space. All this data shows that a lot of people and countries in all levels are either withholding the truth, somehow, and fooling everyone, or we actually went up there. How do satellite signals work, for communication, television, GPS, Satellite phone, etc. How is the weather monitored with such precision and update frequency. Imagine all the people that have to deal with design and building the hardware and software. Imagine how to pull that off? Satellites are used for communication. A signal is send up into the sky and bounced back to the earth. What would cause a bounce back? Some kind of shield at the exact height of where the supposed satellites are? (See https://earthobservatory.nasa.gov/features/OrbitsCatalog for an explanation of where the different satellites can be. The orbit of a communication satellite can be easily calculated by the time it takes for a signal to 'bounce' back to the earth. And the signals are amplified, because the strength of the signal will diminish the longer the distance it has to cover. Now satellite phones and tv can be used everywhere, even when there are no radio transmitters available. In the desert, on the ocean, etc. And yes, some kind of communication use the troposphere to bounce back signals. I.e. the military. The difficulty is precise pinpointing to the position the signal has to go to, because it is a relative small region in which the signal can be received. The same goes for GPS and GLONASS (the Russian equivalent) and Galileo positioning satellites. How would that work when there were no satellites? Radio towers? An underground Tesla network? And how will this work on an ocean? There are no towers broadcasting signals there or any other under water sources. Fact is: Nobody has provided a working alternative to satellite use. With the key word 'working', which means in all circumstances where we know there are GPS signals. Most stories involve misconception of how GPS works: More on that in de map section of this site. There are so many satellites (See https://www.pixalytics.com/sats-orbiting-the-earth-2018/ for figures, but lets say 5000.) why can't we see them? 4 x π x r2 = 4 x π x (2000 + radius earth)2. This is 4 x 3.14 x (2000 + 6.371)2 = 880.571.343 km2. So each satellite has a staggering 175.114 km2 to move in. And that is if all satellites were to move on the same plane, which the do not, they are spaced out in 3-dimensions. Or in simpler terms: Would you be able to find 5000 objects the size of a bus, or even a house, on the surface of the earth, from 2000km distance? No, you would not. It is too hot there (+ 2500 C). But this is the energy level of the molecules. In space there are not many molecules to conduct heat. Satellite dishes are pointed side ways, not up. Well, that depends on the service you are using, 800 communication satellites are just too few to cover the whole of the plane. So can we prove there are satellites? Yes, with a good telescope and patience you can spot some of them in the lower orbits. On a flat earth the ISS cannot exist. So a lot of effort is taken to prove the images and video's are fake. Andre Kuipers is the Dutchman that went to the ISS. I've have been to one of his presentations and the stories he told, and images he showed, were outstanding. This is a person that has been in outer space, and has seen the earth as a globe! This is a video of the ISS passing in front of the moon, now even jeranism admits this is a real thing, as shown in another video. It shows how incredibly fast the ISS moves across the sky, and you'll see a very clear picture of the ISS. As you can see, there is a lot of footage showing living in space, these are just a few of the examples available. And if they can fake this all, that is impressive in itself. Think about it. Some of the footage is taken in 1973-1979 (Skylab) and 1986-2000(Mir). CGI was not that good in those years. And it's not just from Nasa, So then there should be 2 impressive organisations that publish incredible movies. I do not believe it. But there are a lot of people that are doubting the authenticity of these video's and images. Weird behaviour is pointed out in video's. The most used word is CGI. This one of the Space shuttle shows a face in the background (https://youtu.be/0pVm7p4nkwo) . However: The footage was taken from inside the shuttle, not with an external camera, so what you see is the reflection of someone inside the space shuttle. It is part of the video above. So, is what we see true or not? Is the footage we were shown in the video from nasa itself, or was it edited? So yes. Astronauts practice in a pool. And get recorded. So are the video's that are used actually from space, or are they footage from practice rounds? Sadly in all of the video's that are used, no one mentions, or links, the source of the video. And in 1 or 2 video's that I have been able to trace back to the source (nasa) I could find evidence of something moving across the view, but were they bubbles of debris? In a number of video's you see astronauts being blurred, or somehow disturbed. What is that about? I cannot tell if it is in the original too. Or if it might be caused by the transmission. Finally a number of fake video's show people in de space station making weird movements. A lot of footage is taken from person that have just arrived at the space station. Now I cannot imagine what it is like to be weightless. The orientation must run havoc. Last year I had a case of benign paroxysmal positional vertigo, which means that one of the crystals in my inner ear had become dislodged and was having a merry go round in my balance centre. My eyes were seeing other things than my ears were telling my brain. I could not stand straight, and the first few hours a spend more time vomiting than after the worst hangover I have ever had. My guess is that it is similar in space. Your eyes see one thing, and your brain tells you another. So you cannot rely on that, you need to see where you are. And everything is different, up is down, and down might be up, or not. So when you see people holding on to something out of the blue, it could just be a reaction of the body to balance itself. Do you actually grab something consciously when you loose your balance? No, you react out of instinct. Another favourite is that shirts are having weird shapes. Well, there is no gravity to hold it down, and fabric does not straighten itself as you would expect on earth. Do I believe that there is an international space station? Yes. Why? Because there is just too much evidence that there is. Because I find it hard, very hard, to believe this could somehow stay as big a secret as it is. And because there is not a single thing disproving the what is right above us. So next time when you see a video of weird behaviour in space, or air bubbles, try to think outside the box, outside gravity. And investigate the source of the video. I will try to do the same. The Space shuttle has always been my favourite. I had several models of the Columbia (my favourite among favourites), but then again, I also had 2 models of the Saturn 5 rocket. Outboard SRB views from the STS 134 Space Shuttle launch with ғᴜʟʟ ʟᴇɴɢʜᴛ sound ( + launch radio) from the trip up and the spectacular 71km. fall back down to Earth . . . The moon landing hoax is a debate that has been going on for decades. People have found a few anomalies in all the footage from 6 manned lunar landings: Apollo 11, 12, 14, 15, 16 and 17. Besides the manned landings more than 70 other missions (either landers, orbiters, or flyby's) have been successfully done (and almost 60 failures, that we know of). And these from several countries like Russia, Europe, China, India and the USA. And some of these mission have taken pictures, or other evidence, that the moon landings were not fake. But why would they be faked anyway? At that time we had a cold war going on. Full secrecy on both sides, and the USA just lost the battle for getting into space first. On of the effects was that everything that was said or done (like an interview) had to go through rigorous machineries to prevent secrets to leak. And so a few awkward interviews had to be a result. Also NASA did not comment on all the 'mistakes' as the were to proud to even address them. It was a different time, or was it? Secrecy is all around, even today, or maybe even more today. And everything depended on success, so back-up plans will have been made. Maybe there was a site prepared to fake the whole thing, But imagine for a moment all the people that have been included in the project, over the years. And everything was monitored by both sides. You think the USSR would let the USA get away with something like this? You think after all these years other countries would, even 'enemies' of the USA of today. People, and certainly those that doubt the heliocentric model, always point to NASA as the big conspirator. But today millions of people have access to the space program, and not one (legitimate) person ever had come forward to tell a different story. And why didn't we go there (or other countries) in all of the years since? Well, the costs were immense. Going one way, and back, and not being able to stay for more than a few days is just not cost effective. And the moon is after all not that interesting, not to live on, not as a resource, and not even to use as a base: Space stations are much better equipped to bring food, water, etc, than it would be to land on the moon. A lot of money went into the space shuttle program, which failed, because it was not cost effective. Other countries were just smart and did not invest. Remember the moon is 384.400km away. That is 30 earths between here and the moon. The ISS is only 400km away... Space is big. But let's address the things some people say are faked. And you will notice that there are not even that many, most things are just repeated over, and over and over... Counting the amount of footage, from the moonwalks, and taken by other people and in other countries, this is not much, and every single one of them can be explained. This is a good documentary addressing most of the issues. There is a rock with a C inscribed on it. Fun fact: The live stream from the first moon landing was not shown as is. That was because the feed from the moon (at a different frame rate) were not the same that could be used in all the different tv systems of that time. For more background this is a nice article on quora. There is a video that show a flag waving like there was some kind of wind, which obviously there is not on the moon. The explanation for this, is that the flag was mounted on a (not too sturdy) pole, and held up by a beam. The movements you see, are just a piece of cloth moving, because it is cloth and has it's own momentum. There are several questions about the dust on the moon, and how there is no blast crater while Armstrong leaves a foot print, and how can he leave a foot print is such a dry environment. Fact is: Moon dust is not like earth dust. It has not corroded as it would here on earth. Also the lunar module did not come down on a tail of fire, just prior to touchdown. And finally, only a tiny layer of dust is actually on a very rocky surface. There are several questions about the light and shadow on the footage. Shadows are not always in parallel lines, and Aldwin was brightly lit, in the shadow of the lander. The simple answer to that is that the moon surface is very reflective: You can experience that for yourself, the full moon is more than enough to walk by in the dark. On the right are the original photo's (from https://www.hq.nasa.gov/alsj/a12/images12.html) from Apollo 12 showing two separate events. You can see the 'object' on both visors, so it is either a smudge, or something else, on the visor itself! This is the comparison between the tow mountain ridges. You can clearly see that the angles are all different, and that the hooto without the vehicle in it is taken much closer than the other, as the ridge on the other is blocking the ridge on the one with the vehicle. Well the video on the right is funny to look at, certainly because the are sped up. and including the astronaut himself 26,6. However the mass stays the same, so once you get some momentum (by pushing up) you'll be able to continue much easier than it would be on earth. You will slow down (pulled back to the surface) at only the 16,5% of the deceleration that would happen on earth. Not so strange after all. People always imagine a blastoff like when a rocket is launched from the earth. But a different fuel was used, that burned blue, instead of yellow. So no burning flame, coming down, or going up. The Van Ellen radiation belt is a region of high radiation around the earth. Gravity on the moon is much less than it is on earth. 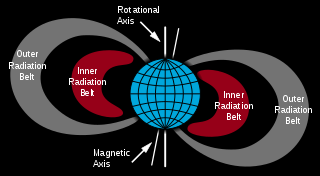 The Van Allen radiation belt is a region in space, surrounding the earth. And to get through to the moon, you will have to pass through them. And the radiation is deadly, at a 2500 rem (where 500 is deadly) you will die, if you stay long enough and were not shielded. The route they took went through the outer regions of the belt. Apollo Experience Report - Protection Against Radiation; specifying what was done as measures for safety on the apollo program show that the risk at the time was low, because there was no major solar-particle event. Also the command module was heavily shielded and the crewmen would have recieved 60 to 100 rads to their skin and 10 to 30 rads to their blood forming organs. The Deadly Van Allen Belts : they took as little time as possible to go through the belt. They spend only 15 minutes in the most dangerous zone. In total they would have received only 6,5 rads/hour, where 300 is lethal. The instruments on board (computers) are more fragile than they were in the '60s and '70s. And they do much more of the work than in that time. The astronauts have to spend more time in space, because we are not going to the moon, but to Mars. NASA deep space exploration: Jeffrey Rusick at TEDxElonUniversity talks about the difficulties of space travel. This is the problem they are trying to solve, not short missions to the moon, but the longer missions to mars. Former President Bill Clinton in his 2004 autobiography, My Life, states: "Just a month before, Apollo 11 astronauts Buzz Aldrin and Neil Armstrong had left their colleague, Michael Collins, aboard spaceship Columbia and walked on the moon...The old carpenter asked me if I really believed it happened. I said sure, I saw it on television. He disagreed; he said that he didn't believe it for a minute, that 'them television fellers' could make things look real that weren't. Back then, I thought he was a crank. During my eight years in Washington, I saw some things on TV that made me wonder if he wasn't ahead of his time." Was Bill Clinton doubting the moon landing, as a president, or was he stating that you should not believe everything that is shown on tv. As a president he must have had access to all information available. The reason we did not go to the moon, or any other country, is because it was too difficult, according to the video maker. The reason provided by the governments is that is is too expensive, which you can see below. The Van Allen belt prevent is from ever going there. Van Allen (in march, 1959) himself states at 8:08 that "it a human being exposed to even 10 rad would die in 2 days, and that it will be an obstacle.". And that is exactly what they have done, quick and through a small region. Apollo 12 Astronaut Alan Bean:"I am not sure we went far enough out to encounter the Van Allen radiation belts. Maybe we did.". The temperature on the surface reaches 135C in the sun and -150C in the shade. The module had climate control for that, powered by batteries. That was the reason of the short visits. First of all: The lunar landings took place at either the lunar morning, or evening on the spot where they landed. This was primarily so that they could see the surface (in a full moonlight there would be no shadows), but also because the radiation level would be lower. However the space suits reflect almost 90% of the light (and heat), and secondly the regolith ('moon dust') does not conduct heat very well. And there is a reason the space suits are so big. The batteries in the space suit were mostly only for body heat disposal. Later on in this clip (at 16:05) they state that in a vacuum there is no heat dissipation. That goes both ways: There is no air to get heated, so the only source for temperature rise is the radiation. The narrator states "Does it seem a bit beyond 1969 technology". Yes. That is way it took such a long time, with a lot of money. It was not simple, and it still isn't. From here on to the next item is a historic overview of how we got to where we are now? "It is commonly believed that man will fly directly from the earth to the moon, but to do this, we would require a vehicle of such gigantic proportions that it would prove an economic impossibility. It would have to develop sufficient speed to penetrate the atmosphere and overcome the earth’s gravity and, having traveled all the way to the moon, it must still have enough fuel to land safely and make the return trip to earth." Further in the text (read extract) however he states that a space station would be possible in 1967. Gus Grissom had a lot of critique on the program, and is supposedly killed on the pre-flight test of the Apollo 1 mission. He was probably right in his critique as a whistleblower bu the name of Thomas Ronald Baron reported the same, and died under uncertain circumstances. But what is this proof of? A conspiracy to cover up failure? And would they have blown en rocket for that? Who knows.. It shows that a chamber full of pressurised oxygen is a bad idea. The interview with Armstron, Collins and Aldrin. Well, they just had been on a long journey and were tired, how would you look? They do not recall seeing stars on the lunar surface, while. Collins also said: "I don't remember any", while he did not go to the moon himself. However Aldrin was speaking of the time they were watching the corona, and of course the corona could not be seen without protection. Collins at that time was taking pictures of the corona also, from the command module. This he remarked upon. ALDRIN The first part of your question, the surface did vary in its thickness of penetration somewhere in flat regions. The footprint would penetrate a half an inch or sometimes only a quarter of an inch and gave a very firm response. In other regions near the edges of these craters we could find that the foot would sink down maybe 2, 3, possibly 4 inches and in the slope, of course, the varlous edges of the footprint might go up to 6 or 7 inches. In compacting this material it would tend to produce a slight sideways motion as it was compacted on the material underneath it. So we feel that you cannot always tell by looking at the surface what the exact resistance will be as your foot sinks into a point of firm contact. So one must be quite cautious in moving around in this rough surface. ARMSTRONG We were never able to see stars from the lunar surface or on the daylight side of the Moon by eye without looking through the optics. I don't recall during the period of time that we were photographing the solar corona what stars we could see. So this is one 'glitch' even if it is.. on the whole interview, after 44 minutes in the press conference..
No proof is provided.. Actually scientists have confirmed that the rocks cannot have come from earth, because of the lack of H2O. Evidence on the moon. Like the laser reflectors.They are being confirmed in the video. This is how the distance to the moon is measured. A BBC documentary shows the complexity to do this. The waving flag as an astronaut skips by. The flag is motionless almost all of the time, how did they do that. And as to the how? See the video moon flaggin' on that. "The waving flag as an astronaut skips by" was from apollo 15. It looks like ... air. However it is hard to see, because there is an astronaut in front. Also there is not a single other example that shows this behaviour. And nylon and teflon can be negatively charged and teflon positively. Why would they jump at that time. It was dangerous, so they were careful, they are not children. Only the best are published. The camera tilted on lift off. When Armstrong says "We are 130.000 miles out..". They have the view of the earth from the window. This comes from 'A funny thing happened on the way to the moon'. The rest of the movie is just repeat and gossip. So.. what is left after analysing this? In my opinion. Not really anything. If this is what people think that is making a hoax, than they are reading things in a few items and talking it their way, sometimes without proper research and looking both sides.